You can listen to the other part of this interview, where Figueras explains how you describe black holes mathematically, and how they were predicted by Einstein’s theories. You can also watch the video of this interview, and read the accompanying article. In this interview Pau Figueras says that we still cannot be sure that black holes really do exist. 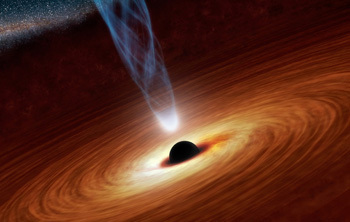 However, since the interview evidence for black holes has been discovered, so now we know they do! See here to find out more.